From paletas to affogatos to ice cream trucks and everything in between, these original ice cream bar ideas will have your guests lusting after them! 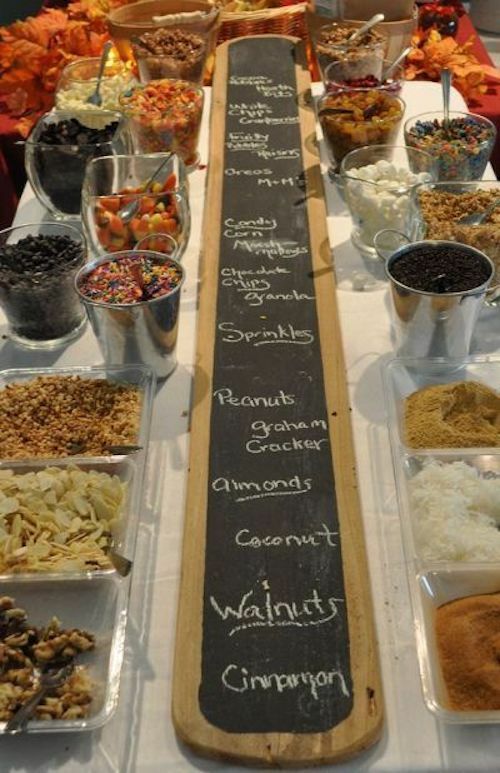 Original ice cream bar ideas for your wedding reception. 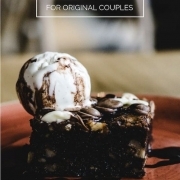 Searching for lip-smacking and original ice cream bar ideas for your wedding reception? You’ve come to the right place. 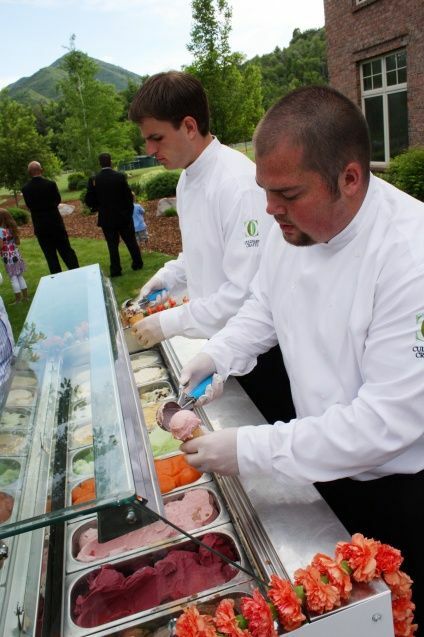 We are covering ice cream buffets that go from the traditional to the most unconventional so you can have your pick. Because, winter, spring, summer or fall, there is nothing like ice cream for dessert. Pro tip: Afraid your ice cream will melt? 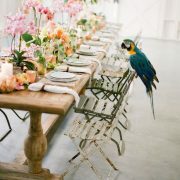 This one is especially handy for DIY brides planning an outdoor party reception. Ice cannot be used to keep ice cream cold. Only dry ice works. It’s much colder than ice and does not melt, it sublimates – it goes from solid to gas. Yes, that white smoke you see, is the dry ice sublimating. So it will keep your ice cream cold for up to 24 hours and won’t make a carton container soggy. Add some dry ice blocks to the bottom of the ice cream serving trays or use a galvanized ice bucket. 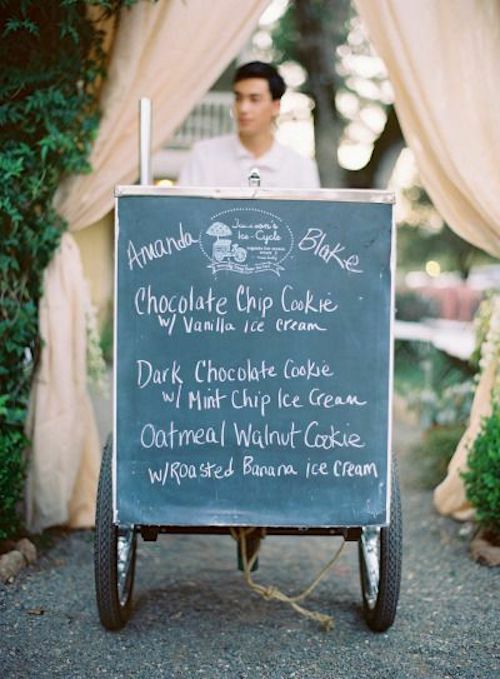 This is one of those original ice cream bar ideas that is a perfect fit for outdoor and daytime weddings. 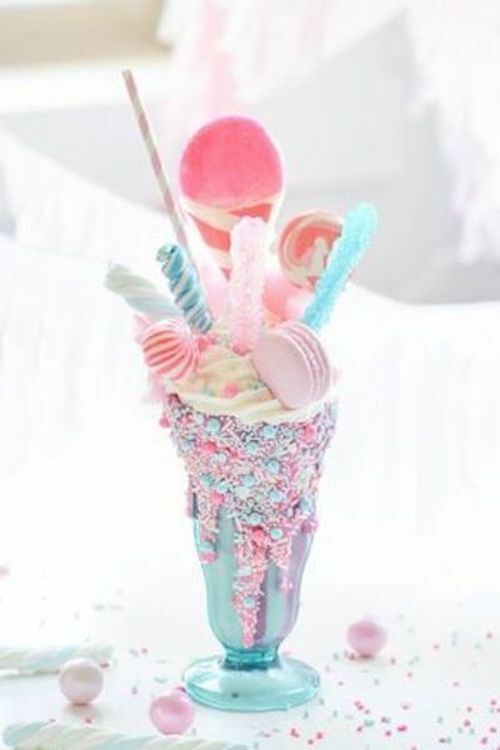 No matter how you present your ice cream, stick to one or two flavors and make sure to offer plenty of toppings. Let your guests build their own ice cream sundaes covered with chocolate or strawberry sauce, M&Ms, Oreo cookies and peanut butter buttercups and don’t forget the sprinkles and the whipped cream! Your ice cream sundae bar will be a favorite amongst both the children and the adults at your wedding! Tip: Pre-scoop the ice cream for faster self-serving by your guests and less gridlock around the ice cream sundae buffet. And don’t forget the cones and plenty of paper napkins! We all scream for ice cream! Yes, we do! Replace your dessert table with a series of mini ice cream cakes, an assortment of paletas and gelato and ice cream sandwiches. You won’t be able to keep your guests away from this sweet dessert station! Orange gelato dipped in champagne. A steal-worthy popsicle presentation for a colorful wedding reception. Oh, no, wait! What if the wedding cake was an actual ice cream cake? Reinterpret these ice cream bar ideas in any way your want. 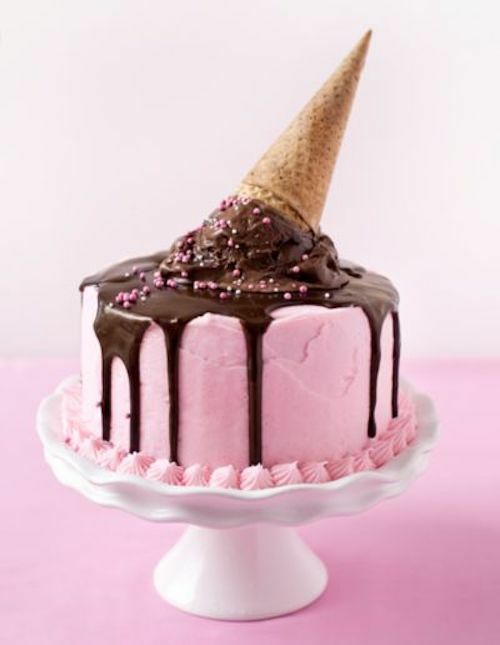 Adding an ice cream cake to the buffet is not a bad start, right? 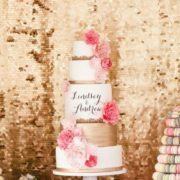 Tip: Create dimension with cake stands of various heights and incorporate your wedding theme and/or colors for added visual impact. 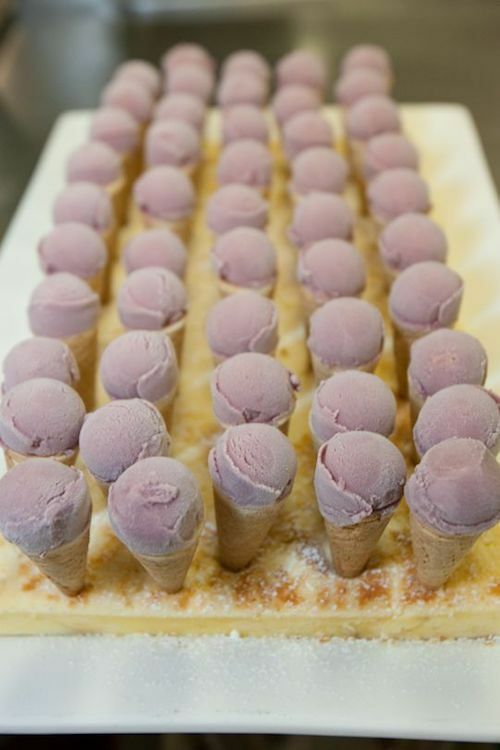 Mini ice cream cones for your wedding reception. 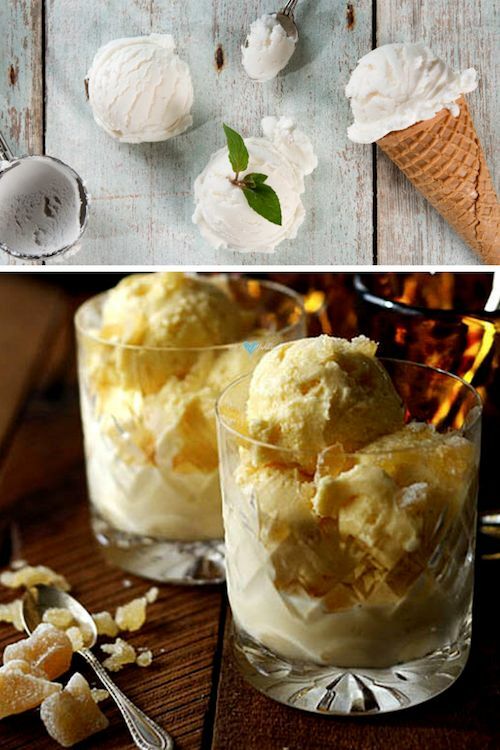 Check out these drool-worthy ice cream bar ideas! Help your guests know what is what – especially when dealing with flavors and some lactose or nut allergies – with signs. They can be as creative as you want them to be. A personalized chalkboard sign can add some flair and fun to your bar. Totally on fleek ice cream bar ideas. 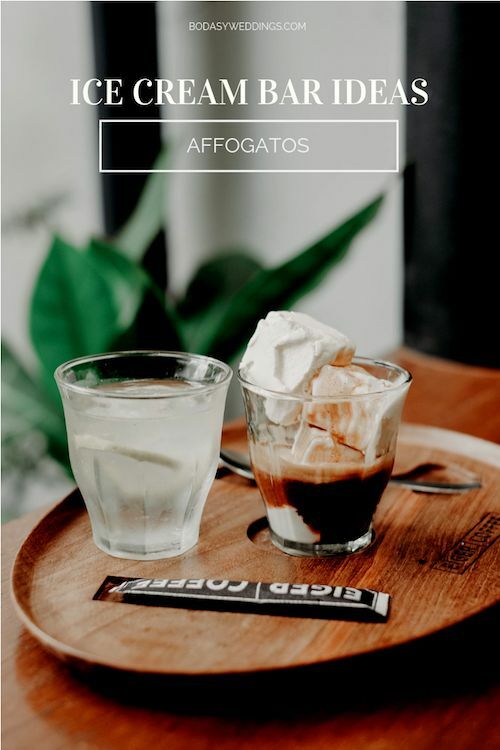 An uber original ice cream bar idea – affogatos. 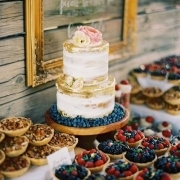 It is a perfect dessert pairing if you are offering cake along with an ice cream bar at your wedding. Just add a scoop of ice cream from your ice cream bar to a shot of espresso, and you have the magic elixir to get your guests dancing all the way into the night. Surprise your guests with an actual ice cream truck offering paletas and ice cream cones. Not only will you have someone handing out these sweet treats, your guests will feel like kids again. A fun wedding idea: have an ice cream truck show up a couple of hours after dance time has started. 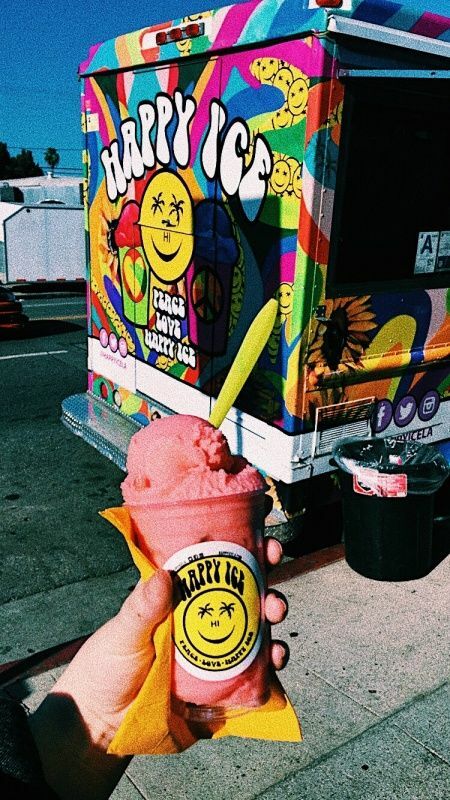 If your venue does not allow for the midnight arrival of an ice cream truck, how about renting an ice cream cart? You can have it full time at your reception or have a paletero show up after your guests have worked up a sweat at the dance floor. We promise your guests will always remember these original ice cream bar ideas. Tip: Help move the queue along. Have a menu sign on the side of the ice cream truck to expedite the serving! 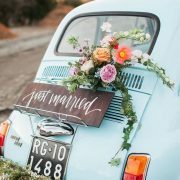 And check out these food truck weddings tips. Imagine this cart rolling into your garden wedding. Wow. Ice cream bars for weddings don’t stop at a scoop. For a touch of vintage americana, offer ready-made milkshakes to your guests with a cherry on top! No need to offer a boring dessert table. Serve up some love by incorporating one or more of these original ice cream bar ideas into your wedding reception. Reach a whole new level of originality by offering milk shakes at your wedding reception. Become a bit of a gelato mixologist and serve your favorite pops or paleta flavors dipped in a glass of Prosecco, champagne or whisky. And you’ll have a delicious treat that’s certain to impress! For the most decadent dessert, pour whisky over vanilla ice cream and celebrate with a Don Pedro. 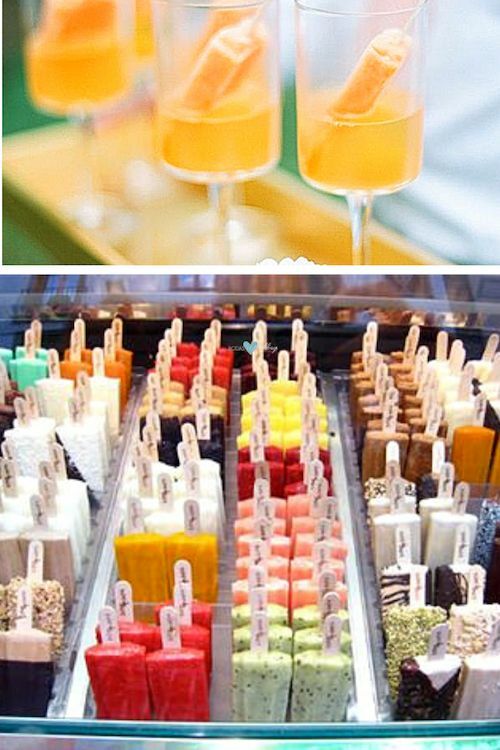 Tip: You can serve these drinks ready made or display your popsicles by color and flavor. And that’s how we roll in style. 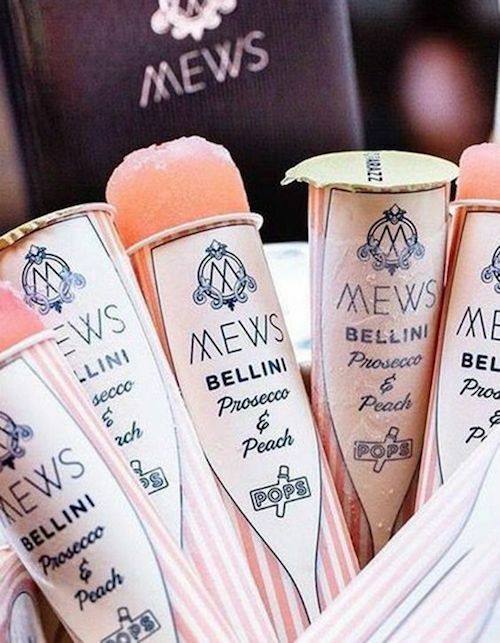 Make a toast with personalized Bellini push-pops. A totally dope and original idea for serving frozen peach Bellinis. Signature drinks to wow your guests. These frozen Bellini pops give “on the rocks” a whole new meaning. Who said your ice cream has to be served in traditional bowls? Add some sprinkle and chocolate dipped sugar cones, mini cones, cookies, rice crispy bars, and even waffles or crepes! Feel free to add a station attendant or two or let your guests indulge on their very own! 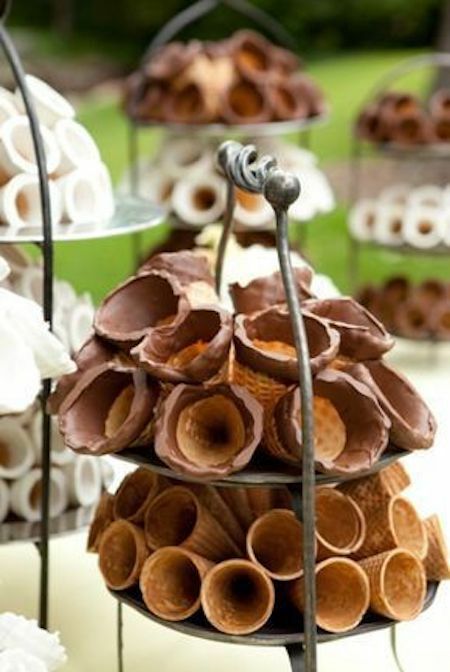 Chocolate dipped ice cream cone display. No need to buy these, you can make them yourself and they look ultra fancy! 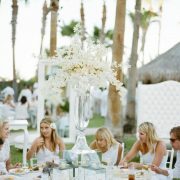 Loving these original ice cream bar ideas for a beach wedding. 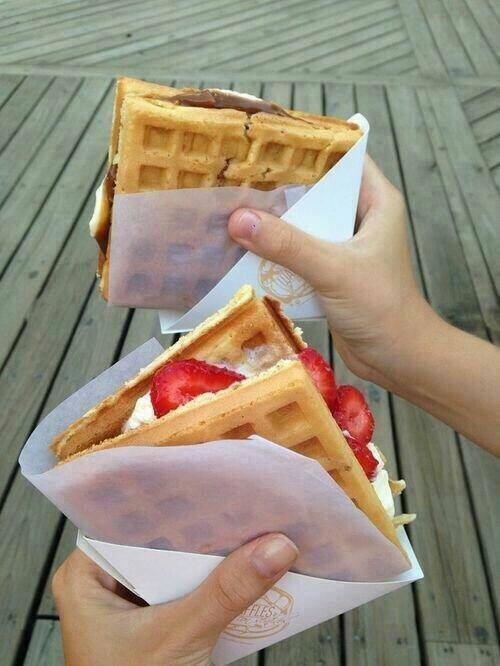 Forget the bowls and serve waffles! Word of caution: You will have a hard time peeling them off these ice cream buffets and onto the dance floor! Ir Sola a una Boda: La Pregunta de Muchas Invitadas (Solteras o No) 32 Originales Modelos de Anillos de Boda para tu Matrimonio: ¡Soñados!